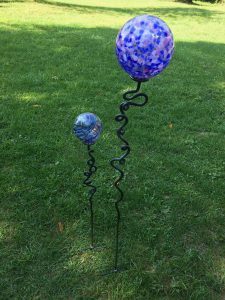 You’ll be playing with fire to create your very own garden ornament in this unique and exciting two day workshop where you learn both glassblowing and blacksmithing! Come and learn glassblowing with Kate Civiero at Infinite Glassworks in Eugenia. 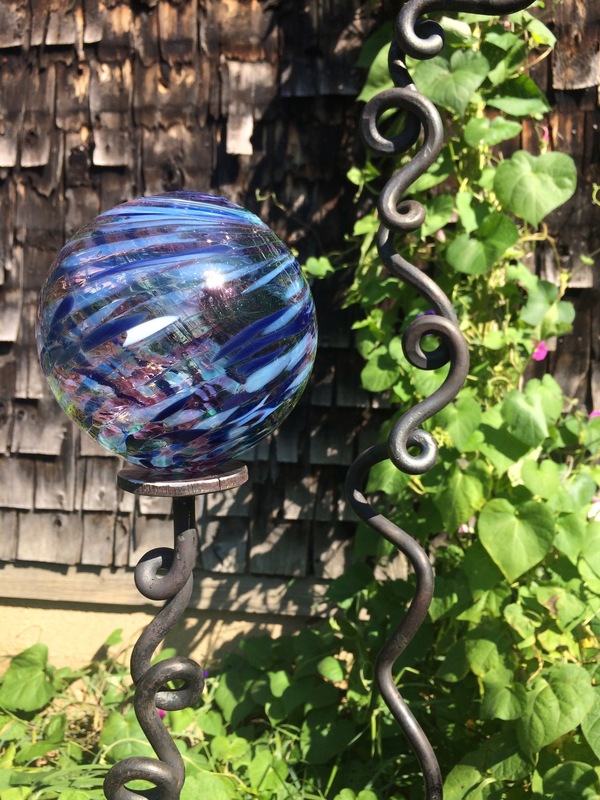 Stretch, twist, blow and shape colourful molten glass to create an orb which will be the top of your garden ornament. 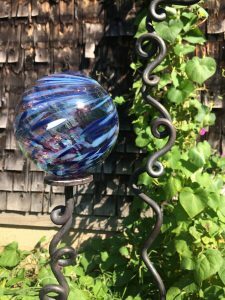 Visit the studio of artisan blacksmith Dano Harris in Markdale where you will learn to hammer, twist, curl and weld steel into a unique stem which will hold the glass orb you made in day one. At the end of day two you will assemble the garden ornament and take home your finished project. See Kate’s course calendar here!